Marvel and DC, the big two in the comics industry were always friendly rivals. Note the past tense. When Joe Quesada rose to the position of Editor-in-chief at Marvel the friendly part faded away. Pot shots became common and the hope of joint crossovers like they did in the eights and nineties became a thing of the past. The biggest shot in the rivalry was fired last year. At the time both companies were in the middle of big cross over events. DC had Blackest Night and Marvel had Siege. Both were selling well, but Blackest Night was getting better press. Marvel had a unique response. Marvel made an offer to comic shops. Rip of the covers off of 50 Blackest Night tie in books and send them in and Marvel would send you a special variant cover of Siege #3. Destroy $150.00 worth of our competitor’s product and we will send you a copy of one of ours with a special cover. Yeah I don’t think Douchebag is too strong a word here. The claim was that they were helping retailers get a return on unsold books, which is odd because you were not finding unsold Blackest Night books. Marvel claims they received tens of thousands of covers. I never heard of any store taking up the offer. A search of EBay does not turn up any copies of the variant for sale. So it was a mean spirited ploy that got Marvel a lot of scorn and no real return. DC took the high road and largely ignored the whole thing. The only response I ever heard were some jokes made by the DC staff at Emerald City Comic-con that year. Really that should have been the end of it. But Marvel must have liked the press, because they are doing it again. Right now Marvel has an event going on called Fear Itself. Don’t feel bad if you haven’t heard of it. It’s not getting much buzz. It is basically Marvel getting around to ripping off the plot of Blackest Night. DC has Flashpoint. This event is getting plenty of buzz as it is the lead in to the September relaunch. So naturally Marvel felt that history needed to be repeated. For every 50 covers of Flashpoint books retailers rip off and send in, Marvel will send a variant cover copy of Fear Itself #6. Once again they claim it is to help out retailers in these tough economic times. It strikes me as a desperate grab for press. DC has been overshadowing Marvel in the press with the upcoming relaunch. Sure Marvel has their movies, but in the end they are a comic book company and losing the limelight to DC must be intolerable. It would be nice if they could find a way to do it without acting like jackasses. San Diego Comic-con; what as become of thee? At the Game of Thrones panel at San Diego Comic-Con George RR Martian referred to the convention as the Geek Capital of the World. I of course have already conceded that title to San Diego for that one week a year, but I am still pulling for Seattle to get it for the rest. However despite this being true there is a sense of disappointment coming off of this year’s event. My original hope had been to make daily updates coming out of the convention, but that didn’t work because honestly there wasn’t a lot of news coming out. And the reason goes to the heart of something bothering a lot of comic fans. 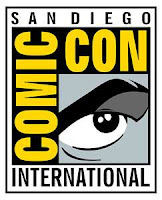 San Diego Comic-con has become a media event where the comic books themselves are basically an afterthought. So here is my post-mortem of the event. What was the major hype this year? Twilight, True Blood, Game of Thrones, and Immortals. Ok sure you had the Marvel Movies and Cowboys and Aliens as well, but do most people even know that Cowboys and Aliens is based on a comic? And outside of the fanbase of the Stars, why are Castle and Burn Notice there? At least Twilight and True Blood are genre appropriate for the fanboy crowd. And the best stories coming out of the con as a whole are about bad behavior. Rhys Ifan who is playing the Lizard in the upcoming Spider-man movie showed up drunk and pushed a con security member, leading to him getting cited by the police. Geoff Beckett of Shocker Toys was served court papers during his panel by an artist suing over an allegation of non-payment. I’m will to bet it was a boring panel up to that point. So where does this leave San Diego Comic-con. I suppose we must resign ourselves to the fact that it is now predominately a part of the Hollywood Hype machine, and that we should feel lucky comic books are given any time at all. Day one of San Diego comic-con and here is what we know. First off I can admit it when I am wrong. When I was first going over the changes coming to Superman in September I speculated that they were moving away from the Siegel owned portions. Turns out I was wrong, they are in fact moving closer to them. Just before the convention DC announced that in Action #1they would present Superman at the beginning of his career “Five years ago” when his powers were still developing. In other words he will be powered down to the original power levels from the original Action #1. Additionally his costume will be a t-shirt jeans and a small cape. In Superman #1 it will be “present day” and he will have his full powers. The armor costume I mentioned previously will be homage to his Kryptonian heritage. They also unveiled Lois Lane’s new boyfriend. They really want to drive home the idea that Clark and Lois are not a couple. The stated goal with the Superman reboot is to make him more relatable. They are going to do this by emphasizing his alien nature and his sense of isolation. They are going to make Superman more relatable being emphasizing his alien nature and his sense of isolation. Wally West; The Flash through most of the 80’s and 90’s will be nowhere to be seen despite many fans being more familiar with him then his predecessor and current Flash Barry Allen. This is stated as being needed to preserve Barry’s uniqueness. At one point they were going to have Wonder Woman in long pants. They have changed their mind and the new costume is closer to the classic one. A big question surrounds the character of Booster Gold. The explanation for the reboot is rooted in the time travel related story Flashpoint. 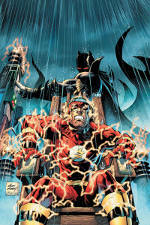 In Flashpoint Booster, a time traveling superhero, is aware that reality has been changed and is trying to fix it. This has lead fans to ask if he will be aware of the differences in reality port reboot. No answer has been given. As expected, Twilight fans camped out overnight to get seats for the Twilight panel. Some fans tried to start their camp out on Sunday and were told to come back Monday instead. They did. As a reward, several supporting actors from the series brought muffins to pass out to the lineup. The convention wised up this year and had Twilight be the first panel on the first day so that the twi-hards wouldn’t clog up the hall waiting. And as I said yesterday, tonight Comic-con will have the Premier of Captain America: The First Avenger. Apparently the reason they didn’t release over the 4th of July was to be able to premier at Comic-Con. I’m looking forward to what we learn tomorrow. Back on July 1st I set out to make Seattle the Geek Capital of the World 51 weeks of the year. Today marks the start of the other week. That’s right today is the beginning of Comic-Con International, better known as the San Diego Comic-Con. Found in 1970 the San Diego Comic-con is the premier pop culture event of the year. The unofficial motto of presenters and exhibitors is “go big or go home.” As a former exhibitor I can tell you that unless you have attended it is almost impossible to grasp the scope of this event, and it has grown in the years since my last attendance in 2004. Starting tonight a lot of fanboy news is going to be coming out. I am going to do my best to comment on the highlights. Even now, with show not even open yet we have a lot of information. Tomorrow night will see Captain America: The First Avenger premier a day early. Star Chris Evens will be there to kick off the event. The official World Premier of Cowboys and Aliens will take place at the convention. IDW will have a special offer called Sparkles for Blood. Attendees will be able to trade in a copy of any of the Twilight books for a new 30 days of night graphic novel. There stated goal is to return vampires to what they were always meant to be: bloody and terrifying monsters. A group of fans have vowed to stage a protest of DC Comics upcoming relaunch. It will be interesting to see if that actually happens. And trends from years past will be repeated. DC comics will be a focus as they prepare for the relaunch in September. Marvel will be pushing their movies and valiantly trying to steal the comic news press away from DC. Several TV shows will have panels. Half of which have nothing to do with comics, Sci-fi, or fantasy, but want to be at Comic-con anyway. Twilight fans will swamp the con again in hopes of seeing the stars. Cos-players will hit the floor looking to be noticed. There will be far too many Batmen, Harley Quinns and Slave girl Leias. And the convention hall will once again reach maximum capacity, leading people to beg the convention to move to a bigger site like Anaheim or Las Vegas. So let the good times roll and let’s see what this year brings. Harry Potter and the End of the Franchise . 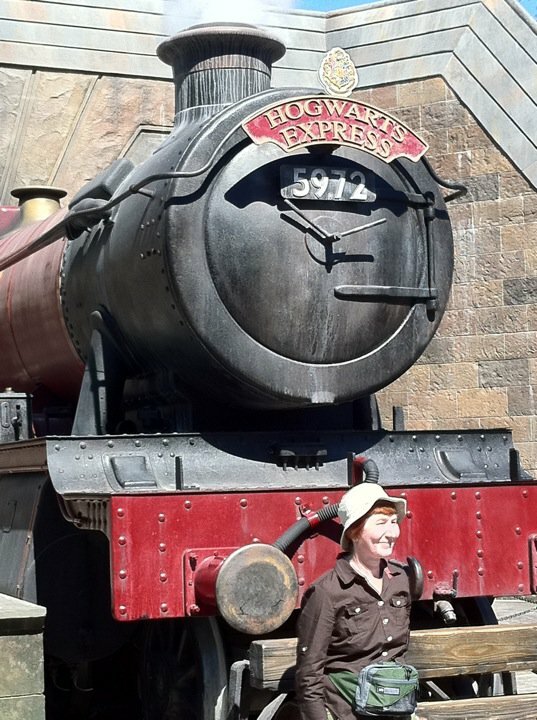 After 14 years the juggernaut that is the Harry Potter franchise has come to a close as of this last weekend. I saw Harry Potter and the Deathly Hallows part 2 last night. It was a very good movie although the final scene did not work as well on screen as it did on paper. Rather than review the movie I want to look at the phenomena that is Harry Potter. The first book was published in June of 1997. As hard as it is to remember sometimes the Potter series is classified as middlegrade books. This means it’s more mature than a children’s book but not quite up to teen level yet. It was written by J.K. Rowling a single mother who was living on benefits. It ended up being a seven book series with each of the last four books breaking the previous record for fastest selling book ever. And Rowling went from living on benefits to the first person to ever listed by Forbes as having become a billionaire solely through writing books. And she earned every cent for one reason. She got children interested in reading. Hell she got lots of people reading. The strength of the series was its ability to mature along with its main characters. 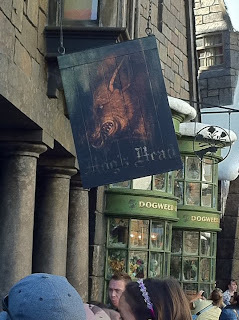 The first books were middlegrade with was the age range of Harry and his friends. As they matured to teenagers the series itself matured to teen level. The books are full of wonderful and wondrous imagery. The values held by its heroes are virtuous and ultimately good triumphs over evil, but not without great cost. Its great literature and proved once and for all that you can write for children without writing down to them. The film series stands as the most successful of all time. They managed the remarkable feat of casting a group of child actors ten years ago and managing to keep them all as the series progressed. It will be interesting to see how they progress now that the series is over. And my opening statement may not be strictly correct. We have seen the end of the books and movies, but the franchise is actually got a lot of steam left. I recent trip to mall included poking my head into Hot Topic. There was wall to wall Potter. 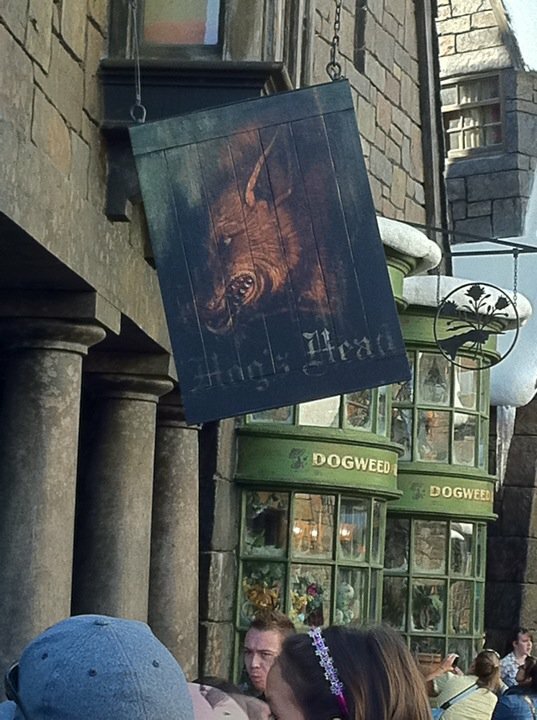 Yes it was ramped up for the movie but still there is a lot of merchandise. And then there is the theme park. 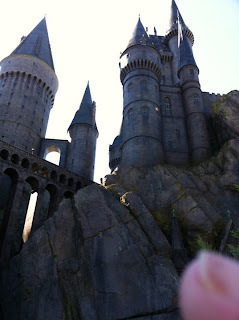 Last year my wife and I went to Universal Studios Florida for their Halloween event (Which will be covered later on). While there we went to Universal Islands of Adventure, which includes the Wizarding World of Harry Potter. It was an amazing exercise in environment immersion. It’s only about a year old and it is packing them in. We went on a Thursday and it was packed. We went back on Saturday and it was so packed we could barely move. 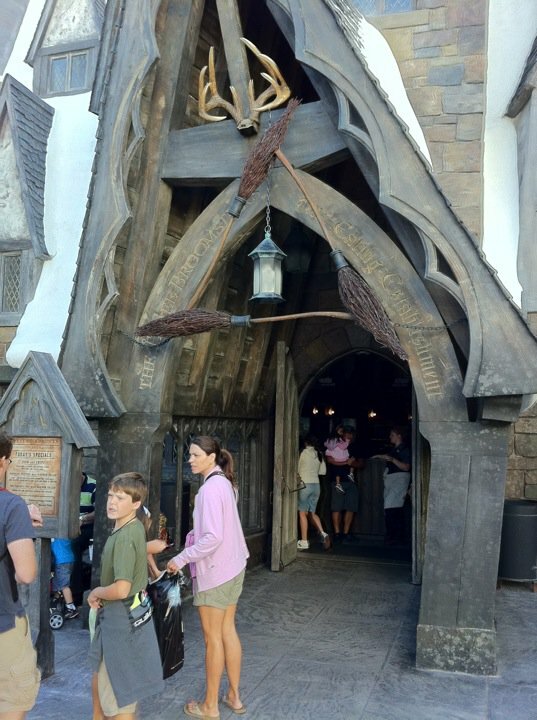 Picture frames are really video for the moving pictures, you can buy butterbeer and Pumpkin juice, There is the wand shop, the gag store, and the main ride takes place in Hogwarts. Finally Rowling is opening a website called Pottermore that appears to be basically a Harry Potter social networking site. The series is over, but the Boy who lived looks like he has a lot of life left in him. The Decline of Marvel Comcs – Why Joe, Why? Right now I think that Marvel is really nailing it with their movie franchises, at least the ones they control directly. Sadly I do not feel the same about the actual comic books. Over the last few years I have found myself dropping a lot of the Marvel comics I use to collect. I can think of a lot of factors that went into this but right now I want to look at the top. And by that I mean former Editor-in-chief and current Chief Creative Officer Joe Quesada. Under Quesada’s time as Editor-in-chief you had the mutant population largely wiped out, a civil war between the superheroes that was won by the side depicted as the bad guys, the Green Goblin becoming the head of S.H.E.I.L.D, Daredevil became a talking heads book, the Marvel U overall went from a superhero universe to a crapsack world that happened to have superheroes in it, and of course Spider-man made a deal with the Devil to save his aunt that reconned out his marriage. Quesada has stated that the Spider-marriage had to go because he felt it aged Spider-man and limited the stories. I have heard that the mutant depopulation was due to him not liking the increase in mutants because that was not the old depiction. In other words he holds the late 70’s/early 80’s Marvel as his model and doesn’t want to stray too far from it. And maybe that isn’t fair, but looking at what he has done, and reading stories he has written I think I have found the root of the problem. Joe Quesada is a terrible writer. If you read the last issue of One More Day that he wrote after J Michael Straczynski jumped ship at the end, or it’s follow up, One Moment in Time, you can see that he is writing to fulfill his plot but he doesn’t care much for character continuity and uses senseless plot contrivances to get where we wants to go. Really at his best he is a hack. Basically he is an artist and really a good one. This isn’t to say artists can’t be good storytellers, both Eric Larsen and Jeff Smith have proven that they can. But Quesada has proven that he isn’t. I also think as Editor-in-chief he did not do a good job of guiding the writers. Basically he would let them all do what they wanted with no concern towards continuity, which in a shared universe is poison. I think this more than anything else has led to me general dissatisfaction with Marvel. I know that Quesada is no longer Editor-in-Chief, but as Chief Creative Officer he still basically dictates the direction of the Marvel universe so I don’t see anything improving anytime soon. As I said at the top there were a lot of factors that led to this and while I think the buck stops with Quesada I think there are others responsible as well. Trust me we will be looking at them too. Oh good, it’s finally July. I’ve always considered myself an avid reader. There was a time when it was not uncommon for me to be reading two novels at once. As I’m sure you can guess by the name of this blog, once in a book store I head straight to the science fiction and fantasy section. In the last couple of months I haven’t done a lot of reading. When I have it’s been reading Arthur Conan Doyle, I’m on a kick to fill in the Sherlock Holmes stories I did not read in High School. One of the big reasons I haven’t made time (outside of life issues) is that the various series I follow haven’t had new books out. My fiancée Larisa has been trying to get me to start the A Song of Ice and Fire series, but I wanted to hold off until season one of Game of Thrones ended. I will get to it eventually. But not yet, it’s July, and that means two books I have been waiting for are being released. The first is Heartless by Gail Carriger, book four in The Parasol Protectorate series which has just released. The other is Ghost Story by Jim Butcher, book fourteen in The Dresden Files series which will release on the 26th. The Parasol Protectorate is a supernatural steampunk alternate history series set in Victorian England. The four books in the series so far are Soulless, Changeless, Blameless, and the new book Heartless. The premise is that vampires, werewolves, and ghosts are known to the general public and are accepted and integrated into society. Science has also advanced faster which adds mad scientists to the mix. 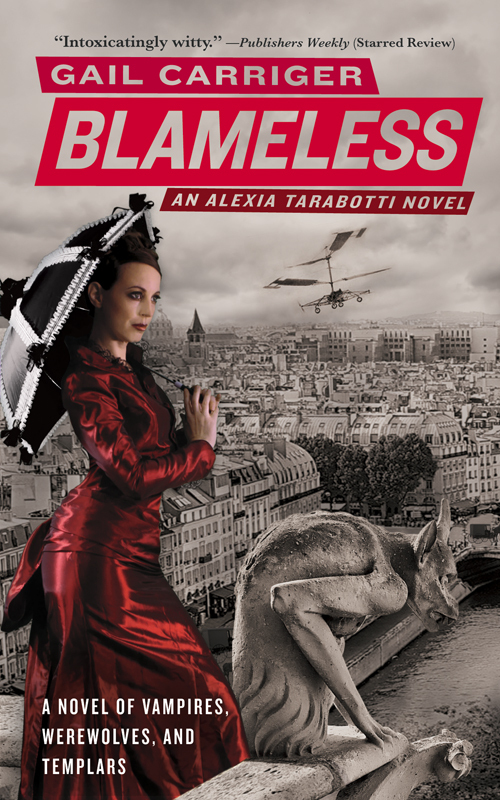 Our main character is Alexia Tarabotti, a lady from an upper class family who was born without a soul. This condition gives her the ability to cancel out the supernatural through physical contact. This means that if she touches a Vampire or Werewolf they become human for the duration of the contact. This naturally makes her of interest to the supernatural members of society, particularly Lord Maccon alpha werewolf of the London pack and head of the agency that deals with supernatural concerns for the crown. She is also friends with Lord Akeldama a flamboyant vampire aristocrat who’s knowledge of the goings on in society rival and even exceeds government intelligence. And the cast, oh the cast. Alexia is a great character to follow. Her lack of a soul means she has little to no creativity and her development of morals and sensitivity had to be through observation. To compensate she has had to develop a code of conduct based on pragmatism and social acceptability. A great deal is made of her inheriting her late Italian father’s looks in contrast to her lily white half-sisters. Her best friend Ivy is a silly young thing with a fondness for ugly hats that defies all logic. Ivy’s greatest advantage is that being such a flighty girl people often mistake her for being stupid as well. Lord Maccon is fun as the love interest because he is in many ways Alexia’s opposite, but ultimately they meet in having little tolerance for the frivolities of society. He is a brash man who never lets you forget that the wolf is part of him. He is backed up by Professor Lyle, the pack beta who is practical, frighteningly competent and been the beta for the last several alphas. As I said earlier, think Oscar Wilde and you have an idea of Lord Akeldama. He surrounds himself with a collection of foppish young gentlemen led by his right hand man, Biffy. I don’t feel I can really do the whole series justice in a single blog post. For more check out Gail Carriger’s website here. I really do suggest giving this series a try. I’ll post a review of Heartless as soon as I finish it. I am a proud resident of the Seattle area. I bring this up because I now live in the only state in the union that does not have any form of state sponsored tourism marketing. The State Government is encouraging private business to advertise our state’s virtues instead. 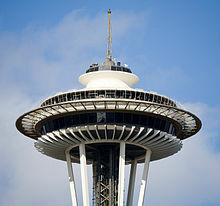 I think that we here in the Seattle area have a potential for tourism that could be tapped. Appeal to geek culture. One week a year the center of geek culture is San Diego California. I say we make a play for the other 51 weeks a year. We have a head start. In Seattle we have the Experience Music Project and Science Fiction Museum and Hall of fame. We have Seattle Pioneer Square with the Seattle Underground tour. We have the original Game Works. We have PAX which is becoming, if not has become, the major convention for gaming, electronic or otherwise. We have Emerald City Comic Con, a fast growing comic book convention. We are the home of corporate headquarters for Amazon, Microsoft, Nintendo America, Wizards of the Coast and I Can Haz Cheezburger. The number of gaming companies of all sizes in this area is in triple digits. Well first all those groups I mentioned above? They need to get together and start promoting Seattle as the place where geek culture comes from. Next someone would need to build something that would be a year-round destination for the geek fans. Anyone remember the Star Trek Experience that used to be featured at the Las Vegas Hilton? Something along those lines that, but where it is the center piece of a whole center, maybe a resort. Someone is thinking this is a good idea. In 2014 a Star Trek theme resort will be opening in Aqaba, Jordan. Now I don’t know about you, but even though I would love to go to a Star Trek resort, I do not see myself traveling to Jordan to do it. I could see people coming to Seattle to see it however. Or how about a hotel that had rooms that were rigged to simulate being haunted. As long as I have the ability to turn off the effects when I want to I think that would be awesome, and could be a big draw every October. However none of this would be a sure bet. In 1997 The Wizards of the Coast Game Center opened in the heart of Seattle’s University district. It was a complex dedicated to gaming and included a game shop, video arcade, a network of computers for LAN gaming, a tournament gaming area, and a twelve pod Battletech combat simulator. A gamer’s dream come true. It closed its doors just four years later. There has been a lot of analysis of what went wrong. Although mismanagement is the likeliest culprit, It stands in people’s minds are a failure of a geek centric venue being able to draw people in. But does that mean no one should try again? Paul Allen didn’t think so when he opened the Science Fiction Museum and Hall of Fame in 2004. Housed in the same building as the Experience Music Project, the Museum is a collection of Memorabilia such as the Original Star Trek captain’s chair, and exhibits like the current Battlestar Galactica and Avatar exhibts. It also hosts the Science Fiction Hall of Fame and Science Fiction Fantasy Short Film Festival in association with the Seattle International Film Festival. True it was folded into EMP last March, but it is still effectively a going concern.